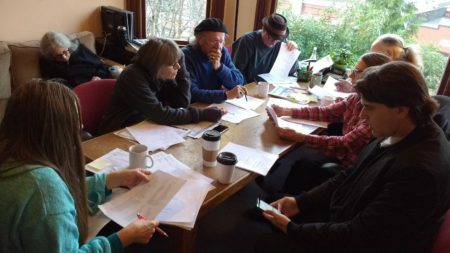 The Coast Community Radio Community Advisory Board (CAB) is a requirement of the grant funding we receive from the Corporation for Public Broadcasting (CPB). The CAB is charged with taking a broad look at the Tillicum Foundation’s mission, determination of priorities and impact on the communities we serve, and provide feedback and advice to the Board of Directors. CAB members will be appointed by the Board of Directors to serve one year (renewable) terms and can be selected to provide both geographic and demographic variety. The CAB every other month or as needed, in sync with the Board of Directors’ annual review of the strategic plan and the beginning of the annual budget planning process. The Board is currently seeking candidates for appointment to the CAB. We are seeking nominees who are active in their community and who are willing to devote some effort to understanding the Tillicum Foundation‘s mission, resources and limitations.